The annual savings for a person who switches their commute to public transportation is $9,286, according to the American Public Transportation Association's (APTA) November Transit Savings Report. 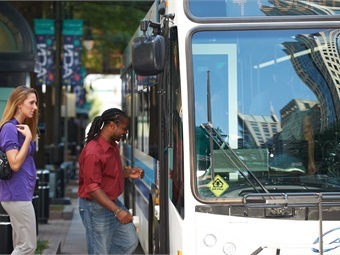 Individuals who ride public transportation instead of driving can save, on average, more than $774 per month. The savings are based on the cost of commuting by public transportation compared to the cost of owning and driving a vehicle, which includes the Nov. 23 average national gas price ($2.07 per gallon - reported by AAA), and the national unreserved monthly parking rate numbers.